Tom Hardy, already a star on the big screen, made a name for himself in the TV game with two heavy hitters: Peaky Blinders and Taboo. The former became a giant hit, inspiring three more back-to-back seasons (with a small year-long break in 2015), but the latter has been curiously absent since it debuted last January. Though a second season was announced straight away in March 2017, there's been little-to-no concrete word on when the BBC One/FX series might return, and what it will look like going forward. While we still don't have a ton of information at the ready, executive producer Steven Knight has opened up about some potential plot details, and we know that there will indeed be an eight-episode second season. But what else do we know about the Victorian-set drama, which was co-created by Tom Hardy and his father, Chips? Let's break down all of the news we have about Taboo Season 2, and when we can expect to see more. While there's been no official announcement on dates, Knight told Den of Geek last May that he was hard at work on Season 2. "I'm just doing it now," he admitted. "I'm trying to write it as quickly as I can." In the same interview, he said the earliest we'd see Season 2 was "well into 2018." Since 2018 is almost gone, and filming hasn't yet begun, "well into 2019" seems like a safer bet. The first season aired on Saturday nights on BBC One, and did moderately well in that time frame, so the second season will probably stick to weekends. Although execs likely aren't too concerned about the day of the week slot, since the first season found most of its success in streaming; it's the third-most-viewed series to ever air on the BBC's iPlayer app. 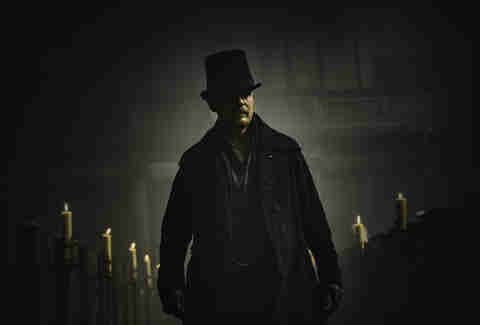 What will the cast of Taboo Season 2 be? In November, Tom Hardy officially announced that he’ll return for the second season. "We are grateful and excited to continue our relationship with the BBC and FX in contributing towards British drama," the Venom star said in a statement. "Fantastic news." This isn’t much of a surprise, considering Hardy helped conceive the series and created his character, James Delaney, to fulfill the many acting challenges he wanted to tackle. "To be bluntly honest, I wanted to play Bill Sykes, Sherlock Holmes, Hannibal Lecter, Heathcliff, Marlow… just every classical character in one," he told the Radio Times last year. Ambitious, and when you put them all together, you apparently get a bunch of grunts. 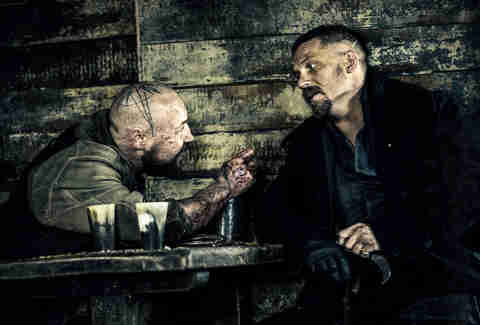 Taboo is set in 1814 London and follows Hardy's James Delaney, a smuggler and brute who in the pilot returns to his native Britain after a 12-year stint in Africa. Disappointed that his wealthy father left him nothing of value in his will, Delaney sets out to reclaim his inheritance. He bumps heads with the East India Company, who spend most of the season trying to kill him, before he ultimately escapes on a ship setting sail for America. That tantalizing ending sets the state for an exciting Season 2, which Knight promises will be "explosive." We know that we'll follow Delaney and his crew into the "New World" eventually, but we also know their next destination is Ponta Delgada, which is in the Azores, a remote group of Portuguese islands in the middle of the Atlantic Ocean. What that setting means for the show is still anyone's guess, as Knight has been tight-lipped about the future. "There's a great destination for [the second season], but I don't know if we're in a position to talk about the actual details of it," he told Entertainment Weekly last year. Knight previously described Taboo as being the story of "misfits and America," so we know Delaney will end up in the States eventually; his father did, after all, own land in North America. But it could be a while before the show reaches that destination. Knight has stated his plans to end the show after Season 3, and described the first season as "the escape," the second season as "the journey," and the third as "the arrival" -- which means our characters might not see the shores of America until its final bow. No matter when it hits, we can't wait to see Hardy's brutish grunts back on our screen again.